The brand new 2014 Chevrolet Silverado has been getting a lot of press and attention lately. The award-winning truck has been recognized for its safety and performance since before it even hit dealership showrooms, and since it has been released, the popularity and clout surrounding the full-size pickup has been astronomical. While used cars and trucks made by Chevrolet have long been dependable, safe vehicles – the all new Chevrolet Silverado is bringing a whole new level of safety and preparedness to the table. This Friday at the State Fair of Texas, Chevrolet and General Motors released the 2014 Silverado full-size pickup as two separate extreme forms of preparedness vehicles. The first is a volunteer firefighter, and the second a black ops. Both are currently in the concept phase of development, and have special additions and features that make them completely unique. The Silverado Z71 Volunteer Firefighter concept truck, was developed with the help and input of the National Volunteer Fire Council. 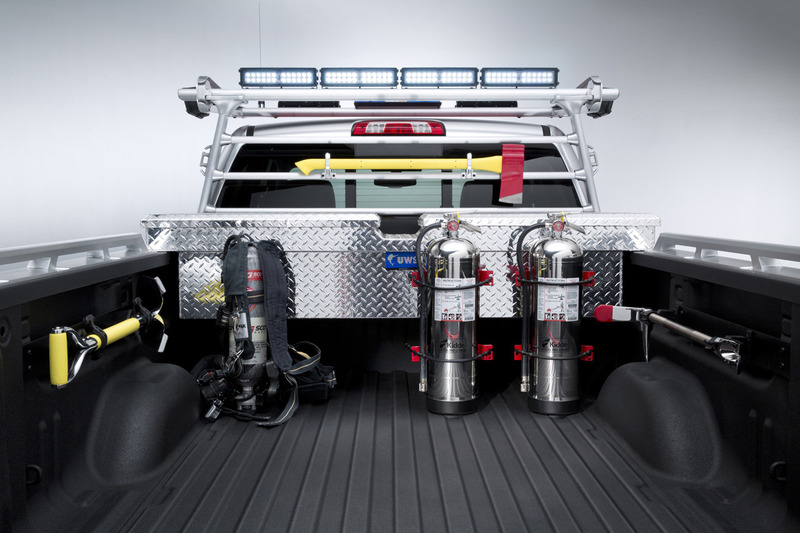 A full lineup of rescue equipment is incorporated into the double cab body, which is equipped with the off road Z71 suspension. The Black-Ops concept Silverado Crew Cab 4×4 takes full advantage of the Silverado’s strength and performance. The full-size pickup is packed with safety features that are, “designed to turn the wasteland into an oasis.” A custom-made lower body armor and lockable truck vault that is mounted to the pickup’s bed, are a few of the awesome features. Room for a solar power pack, gloves, gas masks, and a military-grade first aid kit are also part of the concept.